Pickbay Stainless Steel set + Martin & Sons Guitar Picks set, includes Thin/Medium/Heavy out-of-production picks! 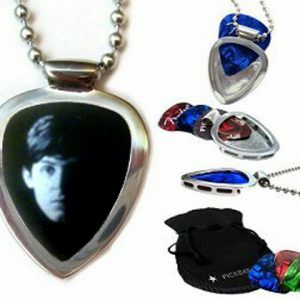 Shiny CHROME 100% Stainless steel PICKBAY guitar pick holder set + MARTIN & Sons branded guitar picks set includes Thin/Medium/Heavy out-of-production picks! 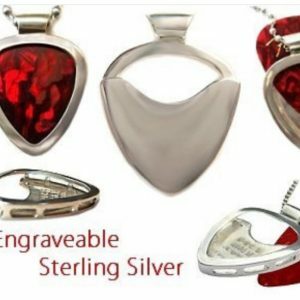 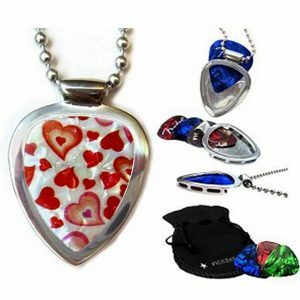 (plectums), a 24″ stainless steel BIGGER ball chain, plus a bag of gem-tones guitar picks in ruby, sapphire & emerald, all packaged together in a velvet polishing pouch, ready for gift giving! 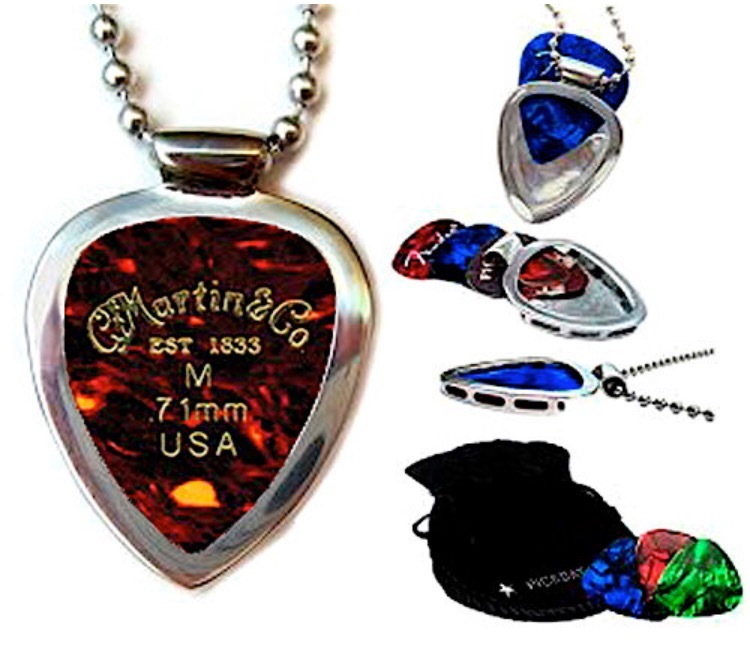 Great gift for Martin guitar players!